Cuts a wide swath through deep drifts. Spout can be turned to throw snow in almost any direction away from the operator. One-piece, non-clogging auger has an adjustable height which allows snow removal over uneven surfaces. This durable unit is built with precision anti-friction bearings. 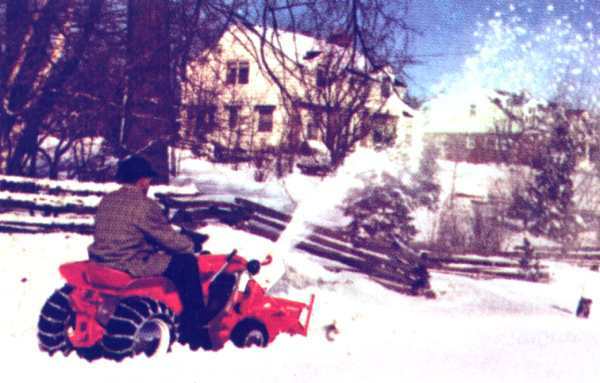 The Snow-Thrower unit is equipped with a special clutch lever -- it can be engaged and disengaged from driver's position on the seat -- safe and easy. Mfg. No. 990345.